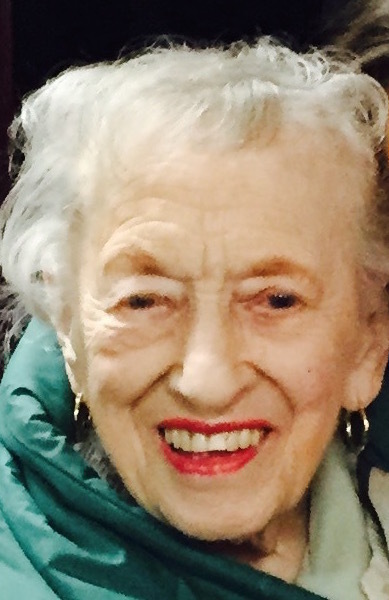 Gertrude (Trudy) Jegabbi, 88, of Alexander St., passed away peacefully with her family by her side, on Sunday, January 27, 2019, at Albany Medical Center. Born in Plattsburgh, NY, she was the daughter of the late Arthur and Veroncia McMaugh. She worked as a senior clerk in the insurance department for the State of New York. Trudy used to have a lot of fun at the OTB center where she had her special table as a professional handicapper, she also enjoyed attending Bingo night, and loved spending time with her family especially her grandchildren who were the love of her life. She used to love picnics and taking day trips to the beach. Trudy appreciated the little things in life, including her sweets. She had a heart of gold, the most kind soul, and will be remembered overall as the most amazing woman. She is predeceased by her husband, Julius E. Jegabbi, and her sister, Jennie (Peter) Libertucci. Gertrude is survived by her loving sons, Nicholas (Lisa) Jegabbi, and David (Dena) Jegabbi, cherished grandchildren, Danielle and Robert Jegabbi, brother, John (Linda) McMaugh, and several nieces and nephews. She will be deeply missed by her family and loved ones. Calling hours will be held on Friday, February 1, 2019 from 12-1:30 p.m. at St. John the Evangelist Church, followed by a Mass at 1:30 p.m. Interment will be private. In lieu of flowers those who wish to remember Trudy in a special way may make a contribution to the Animal Protective Foundation, 53 Maple Ave., Scotia, NY 12302.